Detailed Itinerary:Be met at 8:00 AM. The guide will wait you at your hotel lobby, by holding a paper sign with your name on for you to recognize. 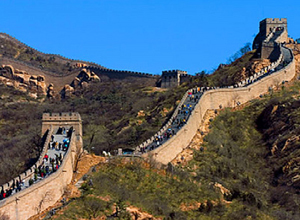 It is a must to see the Great Wall in Beijing and Badaling Great Wall is the most popularly visited section known for its spectacular scenery. After Chinese lunch, we tour in the beautiful imperial garden Summer Palace and then the modern Bird’s Nest and Water Cube in Olympic Green (exterior visit).